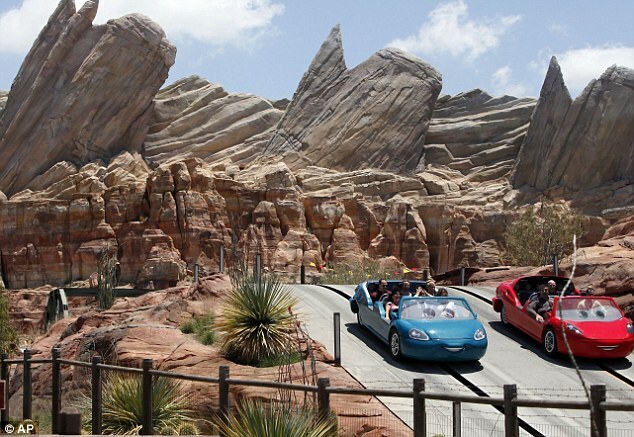 Zendaya and Bella Thorne in release of "Cars Land"
It is one of the franchise's most beloved animated films of his time, and "Cars" just got a new attraction at Disneyland Resort in Anaheim, California. And there were girls today mouse channel symbols, Zendaya Coleman and Bella Thorne to open the new attraction "Cars Land" yesterday June 13, 2012. Other celebrities were also present at the event. The star of Modern Family, Ariel Winter, seemed surprisingly willing to grow in the famous Disneyland park in California. The star of Modern Family, 14 years old, looked like some years older than she looks in the TV personality at the opening of the new car theme attraction. She was also seen her co-star of that series, Sarah Hyland, who was accompanied by her boyfriend, the former actor from HSM 3, Matt Prokop.